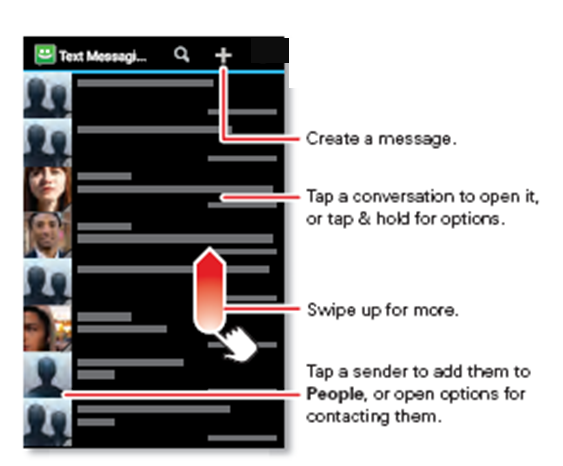 How do I use the text messaging application? Text your best friend: Use a widget to text your favorite contact quickly: Touch Apps , touch WIDGETS at the top, touch and hold Direct message to drag it to your home screen, then choose a contact. Note: To send a video in a message, you cannot capture the video from the camera app. You have to access it via Messaging > Attach > Video > Capture Video. This process will reduce the resolution of the video allowing it to be sent. If you try to attach an existing video you will receive an error message stating video is too large. Those videos can still be shared via Email, You Tube, or transferred to a computer.